Safest way on the market to cut circles and rings. Precision sawing up to a 12” thickness. Holds repeatable position tolerances of ±.007”. 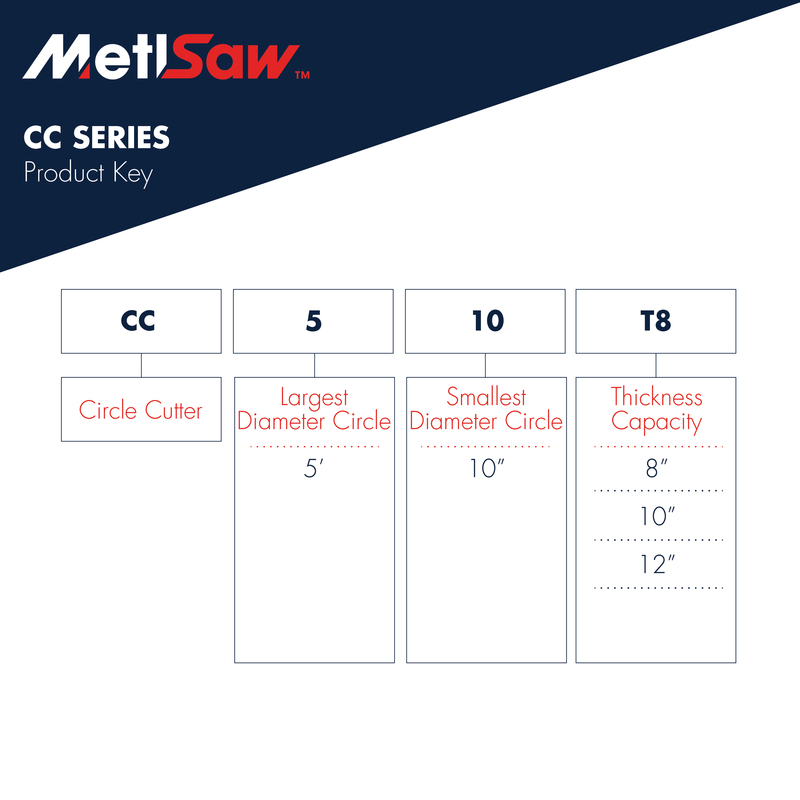 MetlSaw’s Circle Cutter (CC) Series is the safest and most productive equipment available for cutting circles and rings from non-ferrous plate materials. The saw handles materials up to 12” thick, and cuts circles from 10” to 5’ in outside diameter. The CC Series system contributes to profitability improvements in two ways: First, by increasing production capacity, and second by decreasing the required labor per part. The saw increases output when cutting rounds, as the system doesn’t require active operator supervision once the sawing starts. 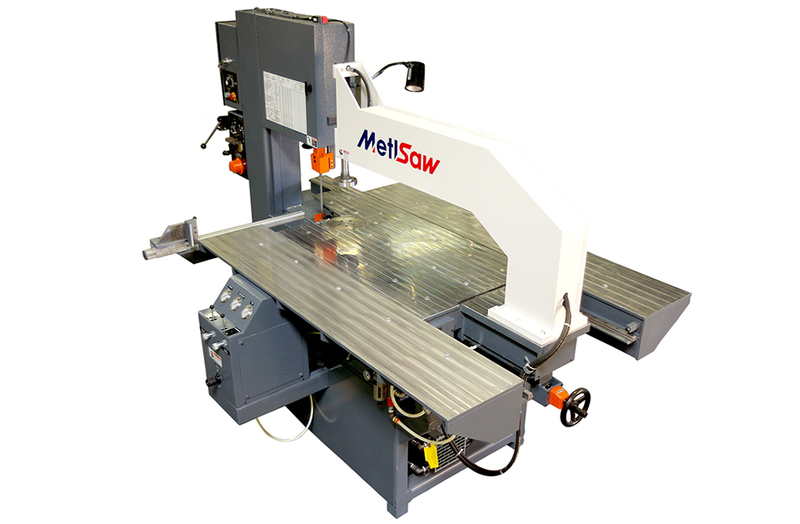 When a square plate is mounted on MetlSaw’s drop- down hydraulic turntable, accuracy is repeatable with tight precision tolerances to ±.007”, and a single operator can easily manage two to three circle cutters at the same time.